Sterling Children's Books, 9781454918196, 32pp. Think before you leap Lemmings look alike, they sound alike, and they act alike. So if one jumps off a cliff, the others will jump right after him . . . except Larry. Larry's very independent-minded and he won't follow his fellow lemmings blindly to their doom. But can he teach them to use their brains and stop making terrible group decisions? John Briggs has created a wonderfully funny, quirky tale about staying true to yourself, while Nicola Slater's witty illustrations capture all the humor and pathos of Larry's situation. John Briggs is a longtime reporter and editor who once spent three years as a children's TV critic. Today, he happily writes books for children. A native of Philadelphia, John currently lives in upstate New York, where he has never, ever jumped off a cliff. Nicola Slater is a professional illustrator and a semi-professional coffee drinker. 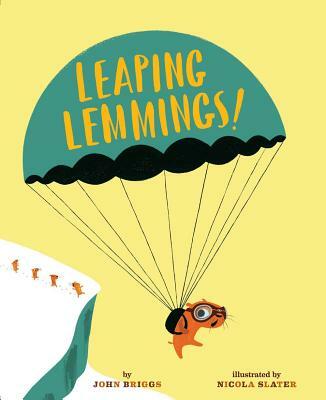 She studied illustration at Buckinghamshire Chilterns University and now lives and works among utter chaos in Manchester, England, with her family and a very bad cat, which she is planning to trade in for a lemming.